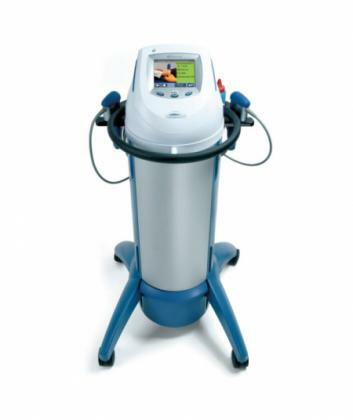 Radial pressure waves offer a non invasive treatment solution for long term insertion and soft tissue pathologies. Local treatment of the affected area will enhance and reset the healing pattern, while reducing pain and improving function. With very few negative side effects, Radial Pressure Wave therapy is indicated for conditions that are normally very difficult to treat, and is now widely used for many therapeutic and wellness applications. 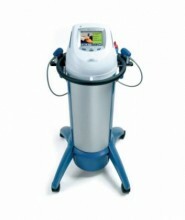 Physical effects of radial pressure waves include: pain reduction (Gate Control theory), increased metabolism, as shockwaves influence the tissues on a cellular level, revascularization effect, where the renewed blood flow promotes tissue healing and regeneration, and muscle tone recovery. Intelect RPW allows the connection of 2 hand pieces for quick and efficient use of complementary applicator transmitters during patient treatment. Click the button below to add the Chattanooga Intelect RPW Shockwave to your wish list.